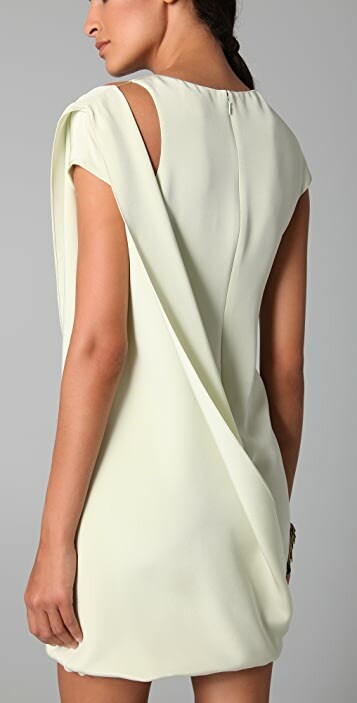 This silk dress features a draped sash overlay and a scoop neck. Hidden back zip. Cap sleeves. Lined.